This is my happy top. There's just something about the cute umbrella print and the big collar that turns a frown upside down. Also, as Kimbo pointed out, it's a pretty apt print for British summer, tragic as that thought is. Ever Ours has just had a whole drop of newness in the past week (including the perfect summer dress) so make sure and give the website a wee browse if you haven't already! Hmm sorry for the short post, I word vomited all over my dissertation today and now I seem to have nothing left. 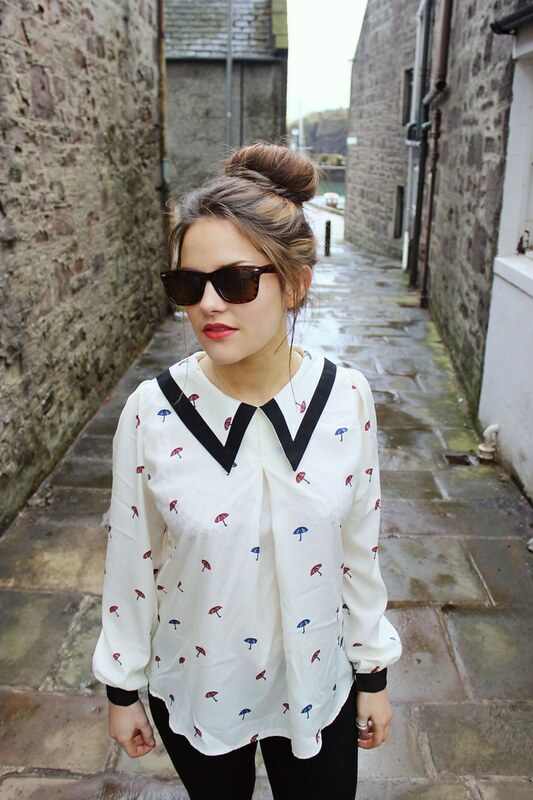 I love your blouse, the print is the cutest! I love this outfit! 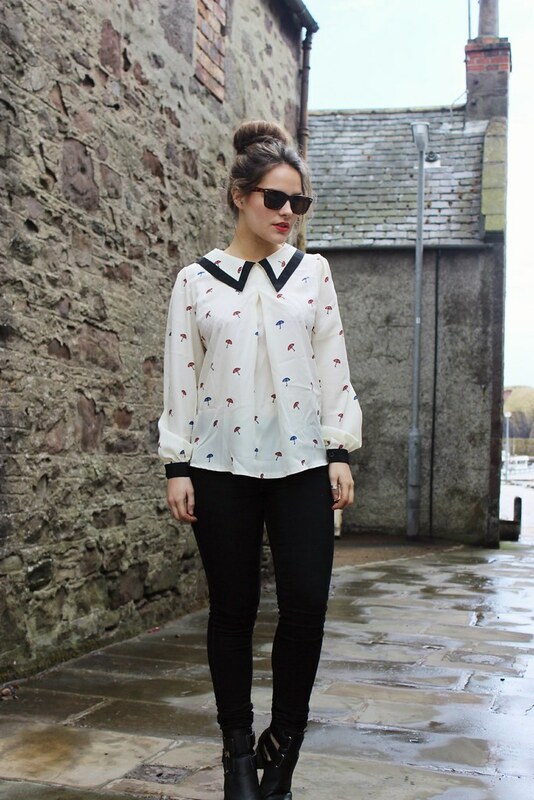 Gorgeous blouse! 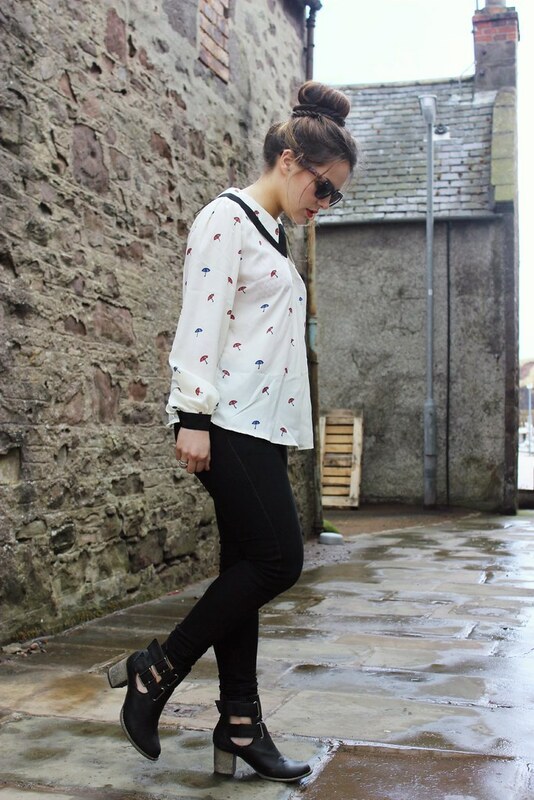 Absolutely love the blouse and it's definitely appropriate for British summer! 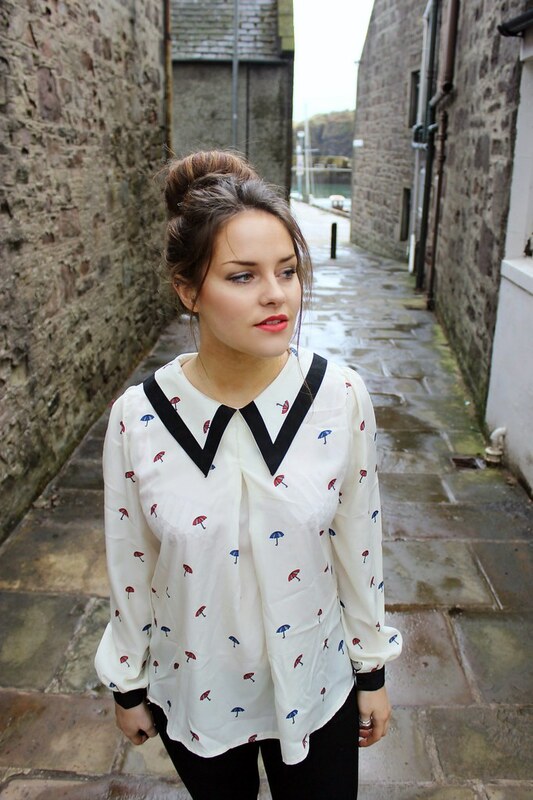 Your top is so cute - love it! Such a cute outfit, love the printed shirt.